[engl] The nickname is superb, as unappealable: The University of Chicha. 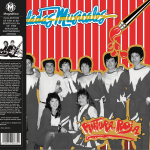 It is not an exaggeration that, 32 years after the release of Pinceladas Musicales, their second LP, the cumbia band Pintura Roja continues to be recognized as a monumental institution in the history of Peruvian music. Since its foundation in 1984, Pintura Roja has served as the quarry of the greatest exponents of "chicha" music, cultivating in the classrooms of its academy artists like Princesita Mily, considered one of the first women to integrate a chicha band, and Muñequita Sally, the disappeared queen of Andean folk, in addition to the legendary vocalist Toño Centella and the remembered Jhonny Orosco, founder of Grupo Néctar. Pintura Roja is revolution, innovation, success. It is a commitment to originality, as well as a history of defections and tragedies. But above all, Pintura Roja is Alejandro Zárate Espinoza, its founder, director, composer and lead guitarist. 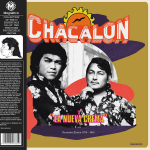 He’s "The Gentleman of Cumbia". In 1984, Pintura Roja is called by Discos Horóscopo to record an LP before the end of the year. The group begins to capture the attention of the public, otherwise, curious about the voice of a woman that they initially confuse with the voice of a child, or perhaps attracted to their lyrics that reflected the dramas and common situations experienced daily by migrants and their first generations in Perú’s capital: the abandonment of parents and sentimental counterparts, the incipient poverty and the uncertain present in which they lived. The woman as a fighter, capable of facing alone adversity and triumphant over sexism, appears in some songs, giving it greater relevance the fact that a woman with the power that her voice gave her, sang to them from the top of the stage. In 1985, Pintura Roja gained popularity on the radio and acquired a one-hour program on Radio Inca called "Pinceladas Musicales". That year, readers of the newspaper El Popular choose it as the favorite band of the year. It is for the second production that Zárate decided to seek support for Mily, who at that time danced and sang for up to six hours in each presentation. Zárate signs Sara Barreto, a 14-year-old huayno singer known as "Natachita", and gives her a new artistic name: La Muñequita Sally.